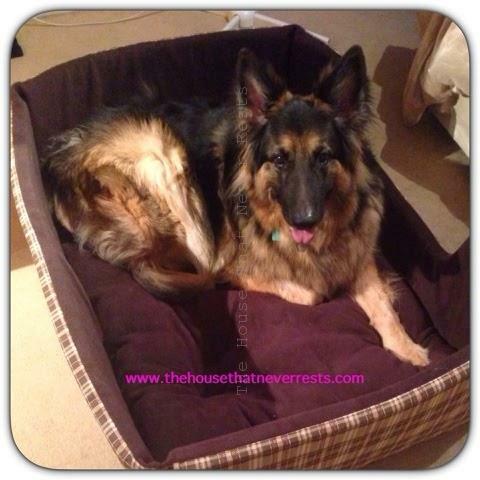 Dog bed, Hip dysplasia, Pet care., review. Buddy recently had his 8th birthday, he suffers with hip dysplasia and at times this can prove very uncomfortable for him, we have recently been looking into getting him a nice comfy bed to sleep in at night as he got far too big for his old one and it was not supportive enough for him, we decided it was time for a change and he needed a comfy bed, he has recently been having a very comfortable night sleep with this new bed. When it arrived via courier Buddy was rather excited and he was waggy tailed and jumped straight into it, he loves his new bed and can be found on many occasions enjoying a nice sleep in it during the day, he fits inside his new bed perfectly, the bed has a lovely thick cushion thats sits inside, we chose the number 5 bed for Buddy as this size is for larger dogs, the bed size being 99 x 71cm means he has plenty of room to stretch out and enjoy a comfy nights sleep, they offer 3 other sizes but this size was best for Buddy’s size. The bed is rectangular with high sides filled with 900gram polyester wadding panels, with a drop fronted front, it has a removable and reversible deep fibre filled cushion for easier care and for a cooler or warmer comfy sleep, it is also fire resistant. The bed can be hand washed or you can wash it at 30 degrees, I have washed the bed once already and it washed up well and looks as good as new. 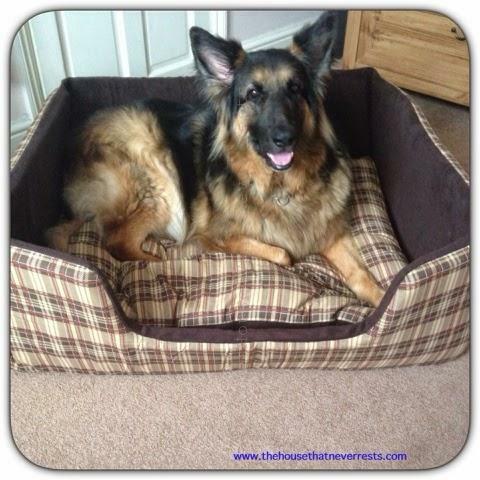 This bed retails at £78 from feedem this bed is of excellent quality, and Buddy seems very comfortable and happy with his new bed, feedem offer a wide selection of pet products at great prices. 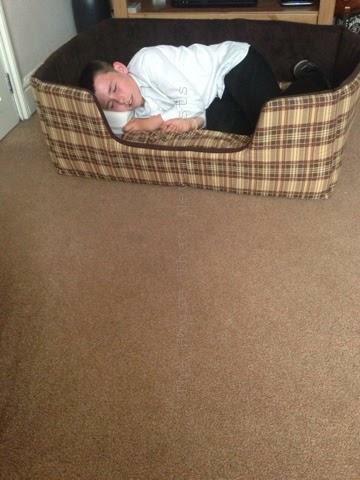 Brad tested the bed out and was so comfy he fell asleep in it after school one day. Disclaimer : Buddy was sent this bed in exchange for our review, all thoughts and opinions are our own.